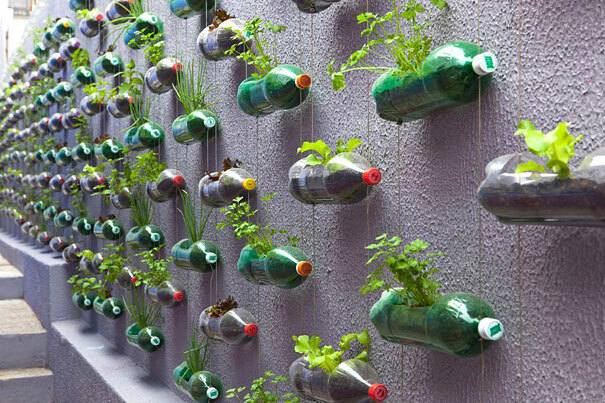 Awesome Ways Saving Your Plastic Can Save You Money! Naturally, you would not think of reusing your plastic, although most of the bottled waters you drink regularly are made of reused plastic. What I am trying to say is that instead of just throwing your plastic away, you can donate it; or use it for a good purpose in your home. They are made from empty peanut/almond containers. How did they do that? Easy, Just take off the ugly label, put yours on (buy them from Walmart or print offline), and spray paint the lid to match the label! So, instead of throwing the container away, reuse it to save you money. All you do is cut evenly across your plastic bottles and spray paint them the color you want your apple to be. Then just hot glue your zipper around your “apple” and stuff your candy. 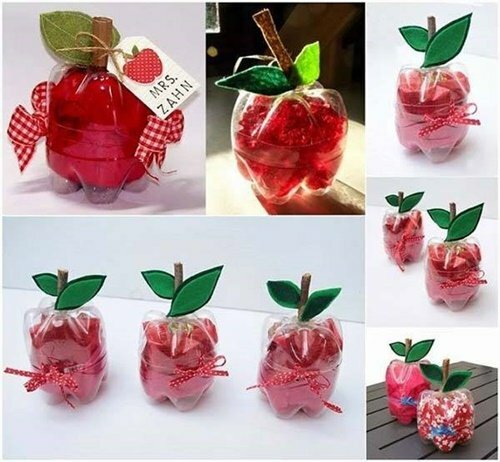 To make your “apple” look more like an apple, take your scissors and construction paper, cut out leaves and a stem, and hot glue them to your apple. This would especially make a perfect surprise gift to your student’s science teacher during the teaching of “Reduce, Reuse and Recycle”. Overall, their are millions of small projects that you can do, whether it is for around your home, or a gift to your friends or teachers. Try one of these, find a new one, or just make yourself one! Good luck to you! Enough fun, it is now time to talk about the PP Foam and the PU Foam. When you are talking about Polypropylene(PP Foam), it is used during packaging and labeling, textiles, stationery, reusable containers, laboratory equipment, loudspeakers, automotive components. This PP Foam is rugged and not usually resistant to many chemical solvents, bases and acids. When you are talking about Polyurethane (PU Foam), it is usually found in domestic and commercial furniture, refrigerators, freezers, door frames, columns, balusters, window headers and rosettes.